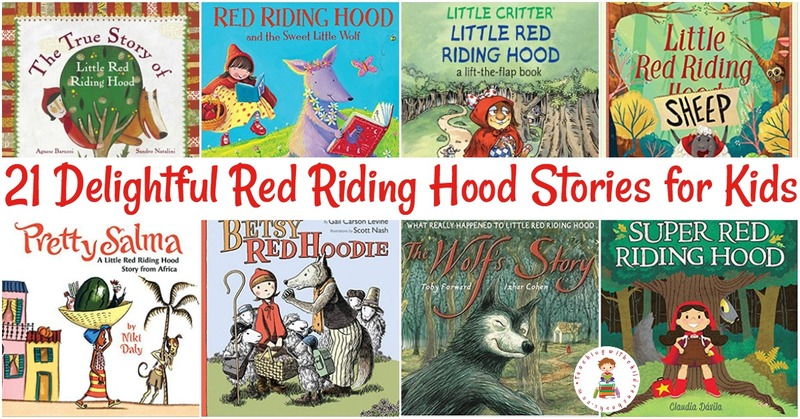 These versions of Little Red Riding Hood from around the world are perfect for comparing and contrasting story elements and cultures. 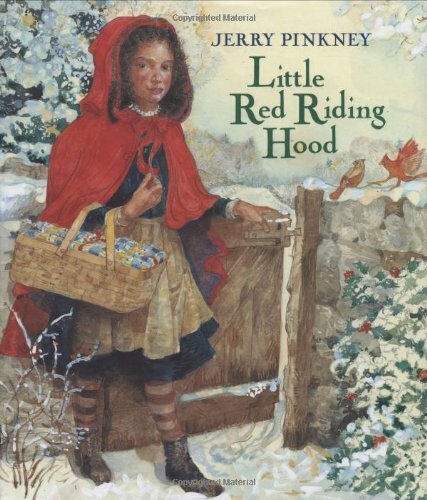 Each version of Little Red Riding Hood featured below is different. Many versions come from other cultures – Cajun, Chinese, the Wild West. Several tell the story from the wolf’s point of view. Still others share a funny spin on the classic fairy tale. All are perfect for comparing and contrasting story elements, points of view, and more. 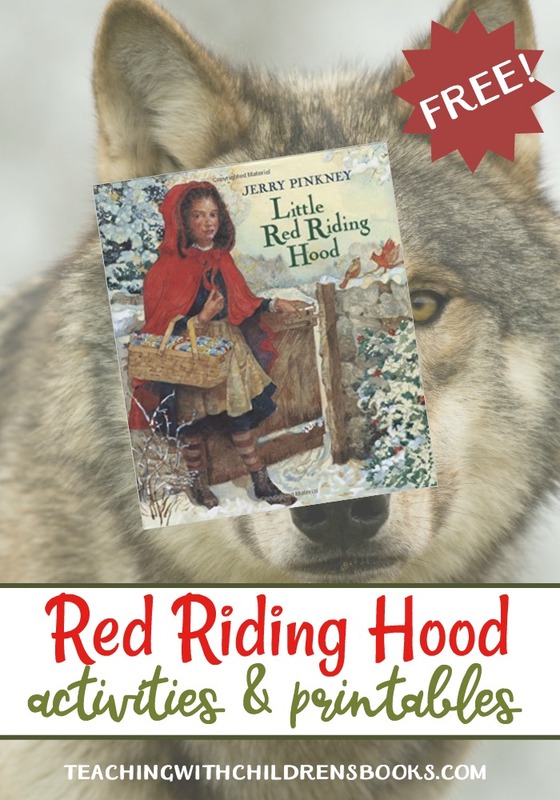 Fill your book basket with a great collection of Red Riding Hood stories for kids. Most of these books can be found at your local library or used bookstore. If you have a hard time finding them, you can order them on Amazon by clicking the images below. 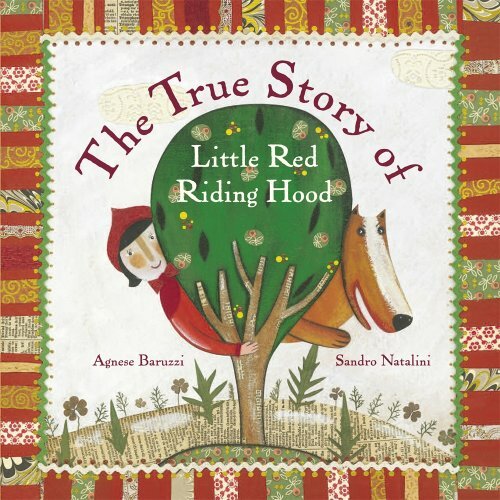 Red Riding Hood | This version of the story my suit older children best. In the end, the hunter cuts open the wolf to rescue Granny and Red Riding Hood. Honestly, Red Riding Hood Was Rotten | What a funny take on this classic story! 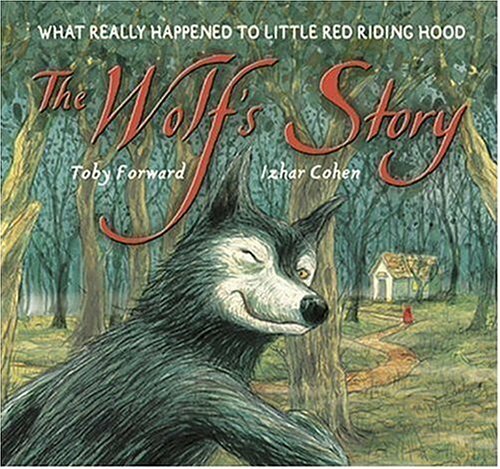 It’s great for teaching point of view (since it’s told from the wolf’s point of view). 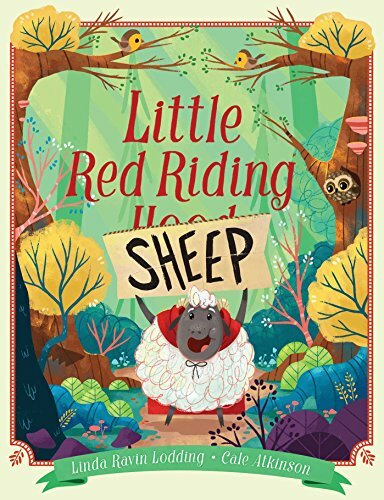 Little Red Riding Sheep | My 14yo claims this is the cutest twist on LRRH, and you must check it out! 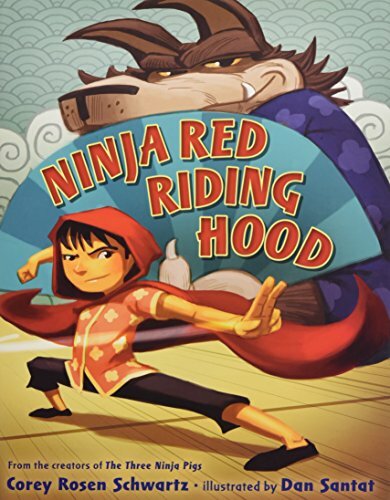 Ninja Red Riding Hood | A fantastic fractured fairy tale. Wolf just can’t catch a break! Ever since the three little pigs started teaching everyone Ninja skills, huffing and puffing just hasn’t been enough to scare up a good meal. His craving for meat sends Wolf to classes at the dojo, and soon he’s ready to try out his new moves. A little girl and her tiny granny should be easy targets—right? Not if Little Red has anything to say about it! Kiya! 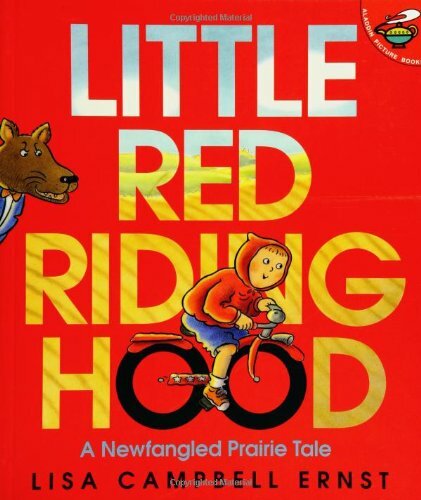 Little Red Riding Hood | She sets off through the forest to visit her grandmother in this classic edition. 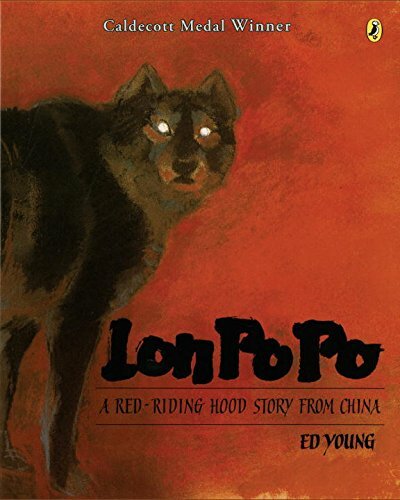 Lon Po Po | In this Chinese version of the classic fairy tale, a mother leaves her three children home alone while she goes to visit their grandmother. When the children are visited by a wolf, pretending to be their Po Po, or granny, they let him in the house, but ultimately are not fooled by his deep voice and hairy face. 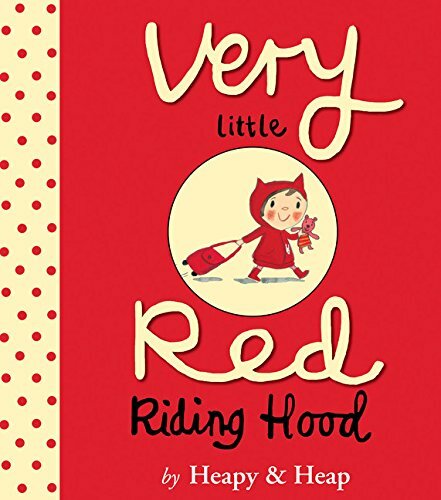 Very Little Red Riding Hood | This is the story of the Very Little Red Riding Hood. Very Little Red Riding Hood is little. Very little. She’s off to her Grandmama’s for a sleepover, and she won’t let anything stand in her way. Not even a Wolf. 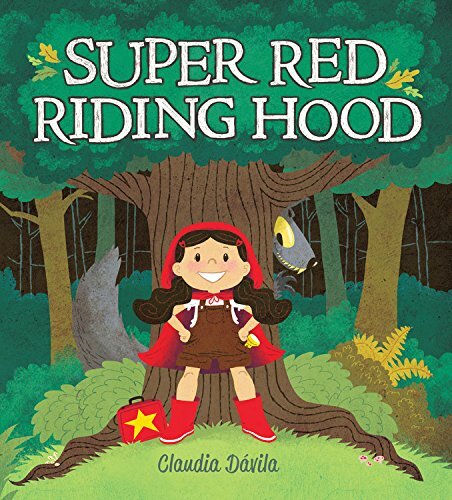 Super Red Riding Hood | Ruby loves to play superhero, so when her mother gives her a “mission” that takes her into the deep, dark woods, Ruby throws on her red cloak to become … Super Red Riding Hood! Nothing can scare her — except maybe coming face-to-face with a big bad wolf. What would a superhero do? A story of guts and girl power, this is a fun update on a familiar tale. 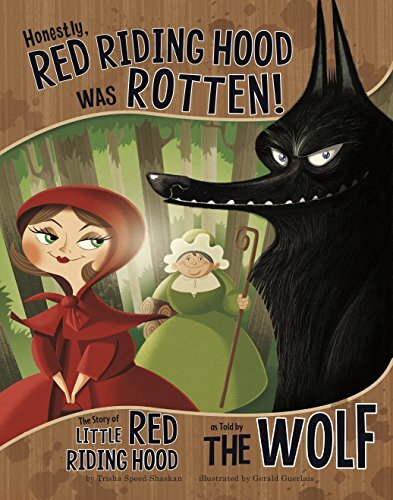 Little Red Riding Hood | When Little Red Riding Hood sets off to deliver muffins to her grandmother, you bet that a big bad wolf isn’t far behind! Little Red Riding Hood | Open the flaps to peer into Red Riding Hood’s basket, move the blanket on Grandma’s bed, and get closer to the Big Bad Wolf in disguise. 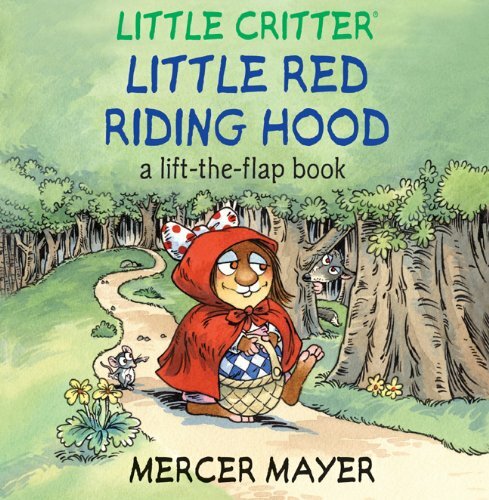 Throughout, a cute (but cowardly) mouse accompanies Red Riding Hood on her journey, forseeing her peril—but not able to help her evade the big-eyed, big-toothed creature who wants to eat her. The Wolf’s Story | Everyone knows there are at least two sides to every story, and if you believe in the big-eared, sharp-toothed villain of LITTLE RED RIDING HOOD, there’s a logical explanation for everything. As our antihero tells it, it all starts with the helpful wolf doing odd jobs for Grandma (are you sure you don’t want to sit a little closer?). How was he to know that he spoiled Little Red would come along and ruin a good working relationship? 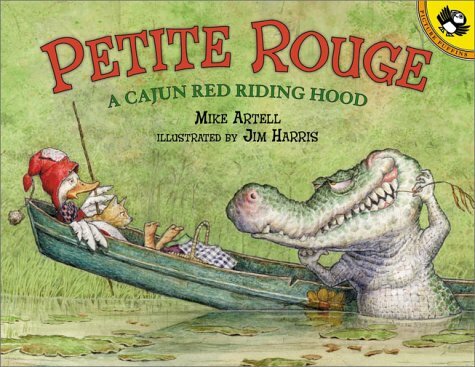 Petite Rouge: A Cajun Red Riding Hood | When her grand-mère comes down wit’ de flu, this Cajun Little Red knows what she has to do. With her witty cat, TeJean, she sets off in a pirogue to bring Grand-mère some gumbo. Who should she meet upon the way, but that big ol’ swamp gator, Claude! Mean ol’ Claude may want to gobble up Petite Rouge, but she and TeJean have a better idea. Before long, they have Claude running back to the bayou where he belongs! Little Red Hot | Little Red Hot loves red hot chilli peppers. She eats them for breakfast, lunch, and dinner. 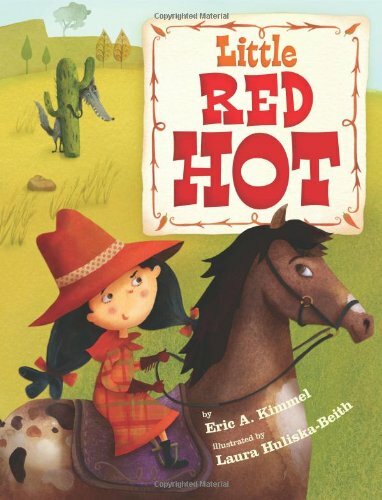 When her grandmother catches a cold, Little Red makes her a hot pepper pie that will “knock those cold germs right out of her”. But before Little Red shares her pie with Grandma, she meets Señor Lobo. The pie comes in very handy when the wily wolf tries to trick her into thinking he’s her grandmother. 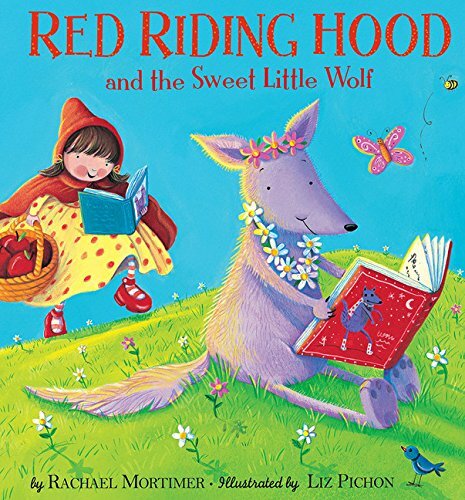 Red Riding Hood and the Sweet Little Wolf | Little Wolf doesn’t want to be a Big Bad Wolf. But when she is sent to gather ingredients for dinner and she meets Red Riding Hood, she doesn’t know what to do. Together the unlikely duo finds a surprising solution to Little Wolf’s big problem! 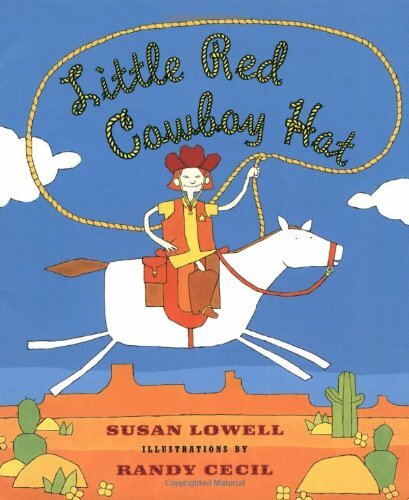 Little Red Cowboy Hat | This Southwestern version of Little Red Riding Hood features a tomboyish main character, a wolf as sleazy as any street corner lothario and a distinct self-defense theme. 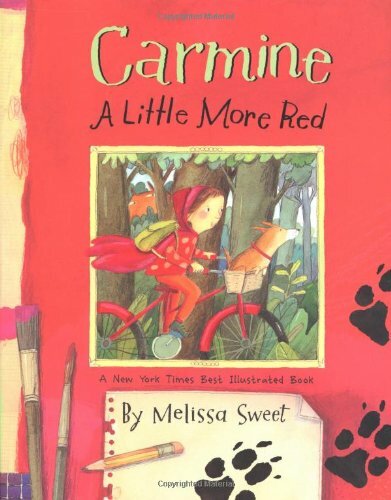 Carmine: A Little More Red | And, as Carmine takes off on her bicycle with Rufus, that is just what she intends to do. But Carmine is a dreamy painter, always in search of capturing just the right hue in her drawings, and this drawing—the one she begins in a lovely forest clearing just off the path to Granny’s—must be her best yet. 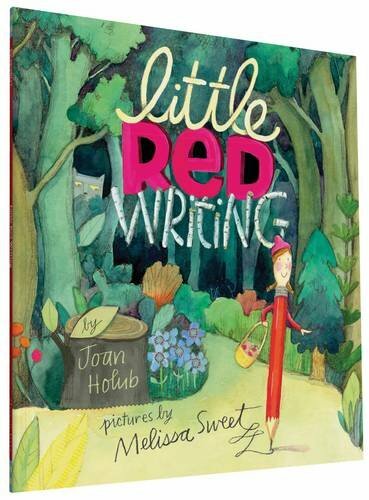 Little Red Writing | This is a hilarious and exuberant retelling of Little Red Riding Hood, in which a brave little red pencil finds her way through the many perils of writing a story. The True Story of Little Red Riding Hood | When Wolf writes to Red Riding Hood, begging her to teach him how to be good, she jumps at the chance to help. Her make over is amazingly successful, but can she deal with no longer being the most popular character in the Forest? 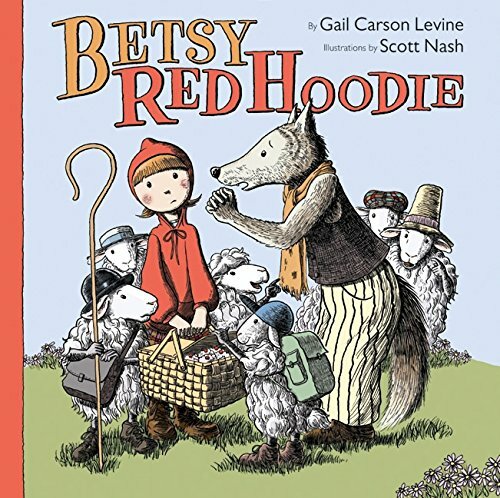 Betsy Red Hoodie | Betsy is finally old enough to take cupcakes to Grandma all by herself—with the company of her faithful sheep, of course. And although wolves aren’t good for grandmas, Betsy lets her best friend, Zimmo, come along too. But will Zimmo’s wolfish instincts make Grandma the tasty treat instead? 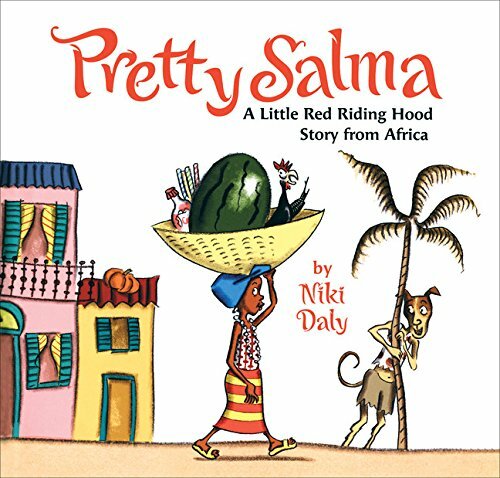 Pretty Salma | When Granny asks Pretty Salma to go to the market one day, she warns her not to talk to strangers. But cunning Mr. Dog tricks Salma, and before she knows it, he’s wearing her stripy ntama, her pretty white beads, and her yellow sandals. And he’s on his way to Granny’s house! African culture and flavor infuse this inventive retelling of a favorite fairy tale, and the vibrant lively illustrations bring it to life. Which version will you read first? I highly recommend Lon Po Po, Petite Rouge, and Pretty Salma. They’re favorites around here.